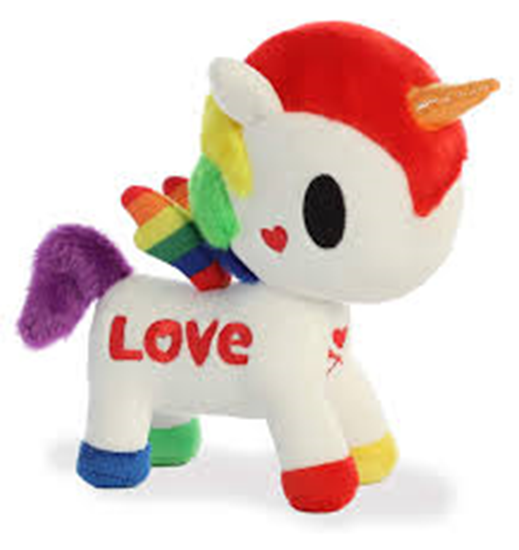 Meet "Rainbow" the Unicorno from the Tokidoki line by artist Simone Legno. "Rainbow" is 7.5 inches tall and is made up of soft white plush with a multicolored mane and purple tail. "Love" is embroidered in red on her right side . Four different colore hooves add to the charm of this magical little unicorno. "Rainbow" is perfect for all ages.